We were delighted when The Museum of Norwich approached us and asked whether we would help to spread the word about the ‘Saving Samson’ crowdfunding campaign which the Museum of Norwich is currently running. 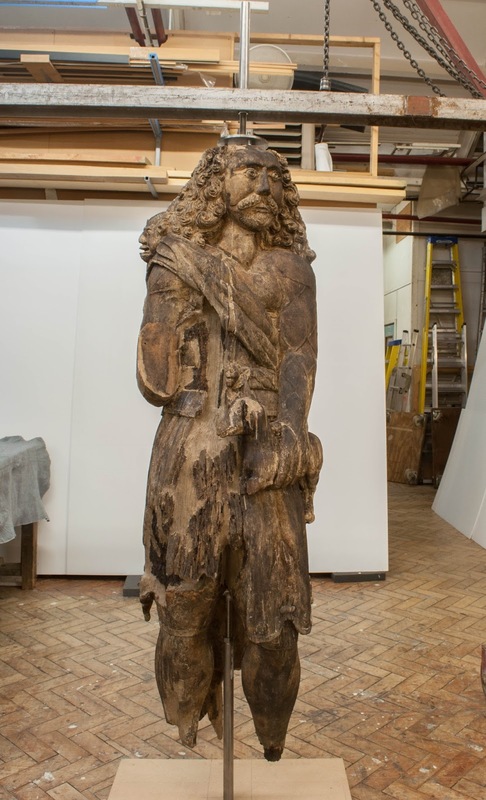 They need to raise £15,000 by 22 March to put this wonderful 17th century statue of Samson on display at the Museum. 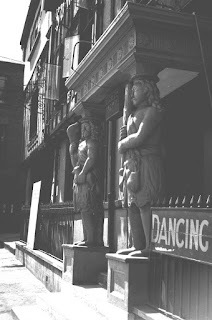 He’s a much-loved Norwich and Norfolk icon – a familiar site to generations of revellers who visited the Samson and Hercules on Tombland when it was a ballroom and later Ritzy’s Nightclub in the 80s. Samson was moved in the early 90s for safekeeping, which is when he entered their collections – the figures outside the building now are fibreglass replicas. 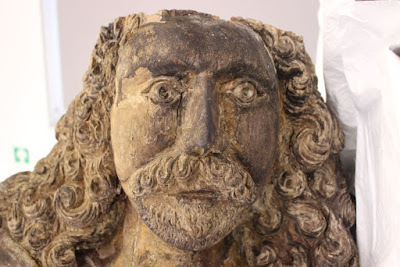 Samson has already gone through conservation processes and now The Museum of Norwich want to pay for a special environmentally-controlled display case to put him back on permanent display and ensure the public get to see their favourite doorman! 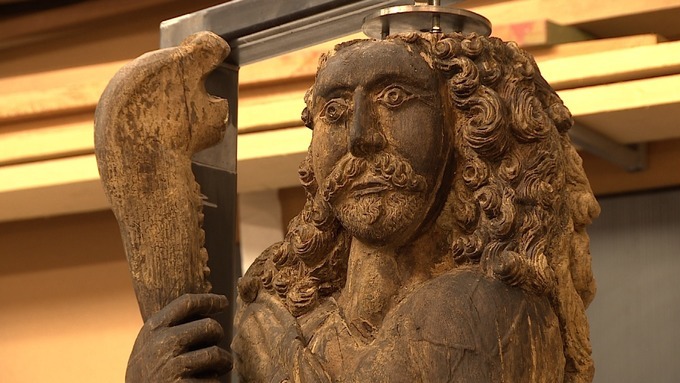 It would also give people the chance to see the famous character in a new light thanks to specialist conservation work undertaken by London-based Plowden and Smith. The restoration experts have removed all paint from the figure to reveal the intricate woodcarving beneath which would have been on display when Samson was first installed outside the Tombland home of Norwich mayor Christopher Jay in 1657. The Saving Samson campaign wants to ensure the figure is now preserved for future generations in a special display case that would both protect him and allow him to remain on public display. 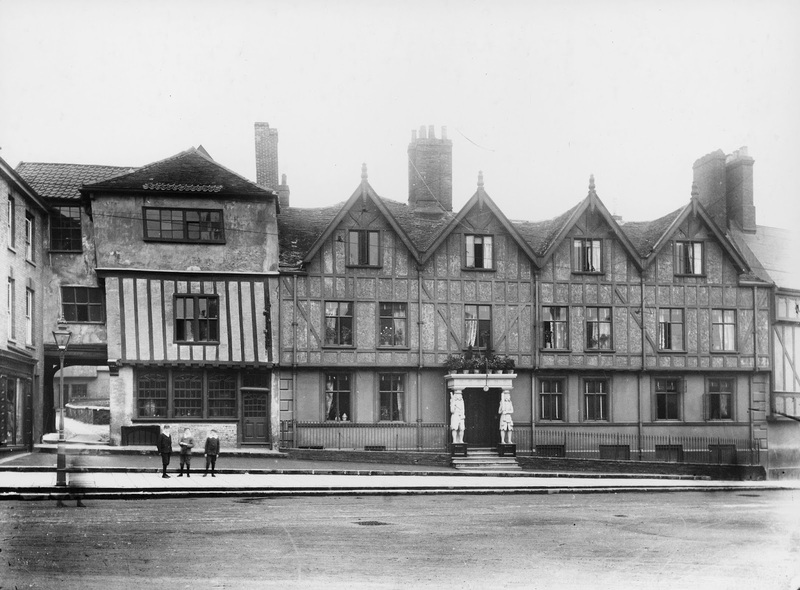 Norfolk Museums Service also has Samson’s counterpart Hercules in its collections, although this is a replica installed in Victorian times rather than the original from 1657.